Under state law the punishment for attempted robbery is the same as if the defendant had been successful in carrying out the act. Upon conviction, a defendant faces up to 15 years in prison. If you have been arrested, or are being investigated for robbery, do not assume that you will not be prosecuted if nothing of value was actually taken from another person. 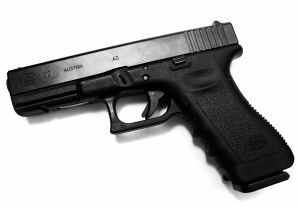 Maryland laws and the cops and prosecutors that enforce these laws do not take into consideration whether the robbery was actually carried out. Even a failed attempt, or an aborted attempt is a serious felony charge, and preparing a successful defense requires a skilled and experienced lawyer. The Herbst Firm has defended these cases from arrest all the way to trial, and we will begin fighting for you the minute we are hired. For a free consultation about your case call 410-207-2598 24 hours a day, 7 days a week. Detectives often solve robbery cases when the stolen goods turn up in places such as pawn shops, or are confiscated in unrelated arrests. Most valuable goods such as cellphones, jewelry, and electronics have unique cereal numbers that can be traced back to the owner. In addition pawn shops may require the seller to leave finger prints and identification that can easily be traced. But cases where the criminal act was not completed do not involve the actual taking of goods. Therefore the only evidence of most attempted robbery cases is either eyewitness testimony or video surveillance of the crime. The alleged victim of an attempted robbery case is often the only state’s witness that has any first hand knowledge of the crime. We will put the state’s eyewitness through a vigorous cross examination, which is absolutely essential to winning this type of case. Eyewitnesses and alleged victims go through a traumatizing experience when they are involved in a criminal act. The trauma can affect a person’s ability to accurately remember the details surrounding the incident, and can also cause a person to want to fill in blank spots where their memory is not as clear. Victims and eyewitnesses are also emotionally invested in the incident and typically have a strong desire for closure in the incident. A desire for closure often means a desire for a conviction, and when you combine biased testimony with foggy memories, you are often left with tragic situations where a person is wrongfully convicted and justice is not served for anyone. Benjamin Herbst understands the weaknesses of eyewitness testimony, and will prepare a successful defense to weaken the state’s case. He has participated in numerous robbery jury trials and knows what it takes to convince the jury that the only verdict is a verdict of not guilty. If you are hiring representation for a loved one that is currently incarcerated, we will be out to see him or her immediately, and will file a bail reduction motion upon being retained.